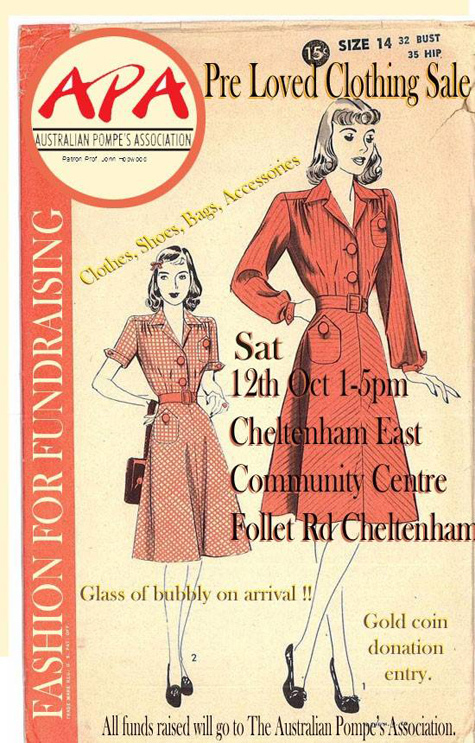 I love a good cause and this one lets you snaffle great vintage pieces whilst supporting the fight against illness. Cost: gold coin entry – free glass of bubbly on arrival! All funds raised go to The Australian Pompe’s Association. UPDATE: I originally posted this as Sydney – it’s a Melbourne event, apologies for any confusion.